ROCHESTER, Minn. — Treatment to reduce recurrence of hepatitis B appears to improve liver transplant outcomes for some patients, according to a Mayo Clinic study presented at the American Transplant Congress under way May 1–5 in San Diego. “We found that in patients with hepatitis B, the number of patients who were listed for a second transplant within three years decreased by 50 percent between 1996 and 2005,” says Ray Kim, M.D., the senior investigator of the research team. Hepatitis B infection is a major cause of liver damage that can eventually lead to end-stage liver disease and the need for a liver transplant. In the past, hepatitis B recurred in some transplant patients, causing liver damage and the need for a second transplant. “In the past 10 years, new medications have improved our ability to control hepatitis B,” says Dr. Kim. Today, transplant recipients routinely are treated with antiviral therapy and hepatitis B immune globulin to reduce the risk of recurrence. “We wanted to know if the medication protocols were making a difference in patient outcomes,” he says. Researchers reviewed data provided by the Organ Procurement and Transplantation Network of 31,242 liver transplants in the United States. The underlying reasons for transplantation were categorized as hepatitis B, hepatitis C or other. From 1996 to 1998, 6.5 percent of liver transplant patients with hepatitis B were listed for a second transplant. For 2003 to 2005, the number of liver transplant patients with hepatitis B listed for a second transplant was 3.3 percent — roughly a 50 percent reduction. For patients with hepatitis C or other underlying liver disease, there were smaller declines in relisting numbers. Preventing recurrence of hepatitis C has proved to be more challenging than preventing recurrence of hepatitis B, says Dr. Kim. Over the same periods, mortality rates increased for all three groups. 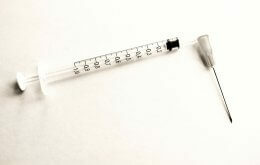 For patients with hepatitis B, the death rate was 10.8 percent from 1996 to 1998. The rate increased to 12.8 percent for 2003 to 2005. Those high numbers portend a continued high demand for liver transplants. In the United States, nearly 16,000 people are waiting for liver transplants.